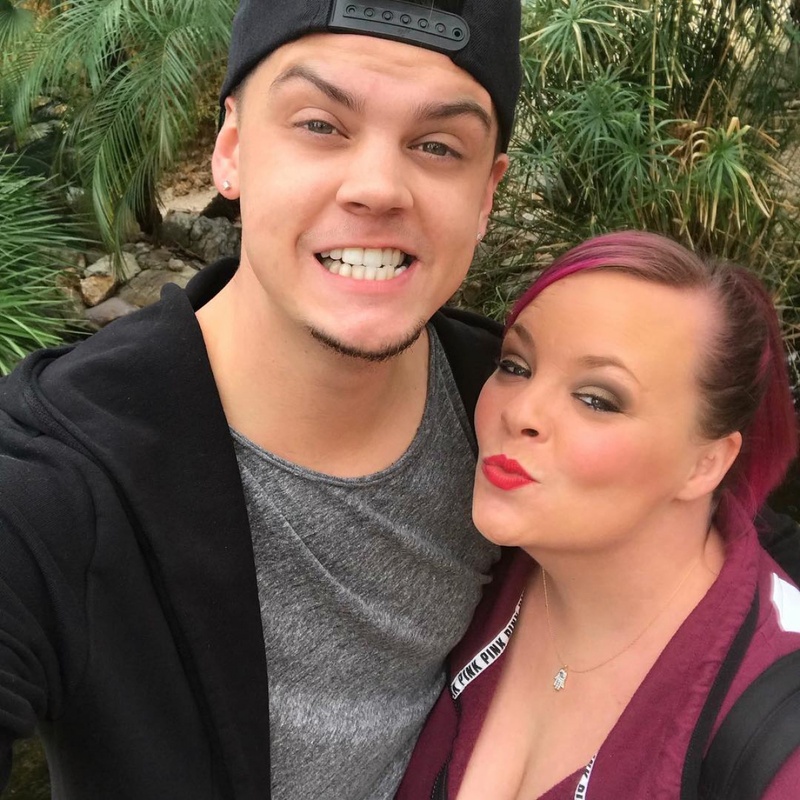 Catelynn Lowell praised "amazing" husband Tyler Baltierra in a post Monday after returning from rehab in February. The 26-year-old gushed about Baltierra on Twitter following her miscarriage and third stay at a treatment facility. "He really is amazing and my number one supporter," she wrote. "he's my best friend and my lover #Soulmates #iLoveYou." Lowell returned home Feb. 26 after checking into rehab in January for "trauma." She shared an inspirational post with her followers Friday, using the hashtags "KeepTalkingMH," or mental health, and "TraumaSurvivor." "I'm stronger because I had to be, I'm smarter because of my mistakes, happier because of the sadness I've known, and now wiser because I learned," the post reads. Lowell, who stars on the MTV series "Teen Mom OG," previously sought treatment in December after experiencing suicidal thoughts after her miscarriage. The show has documented her struggle in recent episodes. "Thank God for kids and husbands," she said on the Feb. 26 episode. "If they weren't around, I probably would have offed myself, seriously. I mean, I'm sure a lot of people can relate." Lowell and Baltierra share 3-year-old daughter Novalee, and are also parents to daughter Carly, who they placed for adoption as teenagers. "Teen Mom OG" airs Mondays and co-stars Amber Portwood and Maci Bookout.